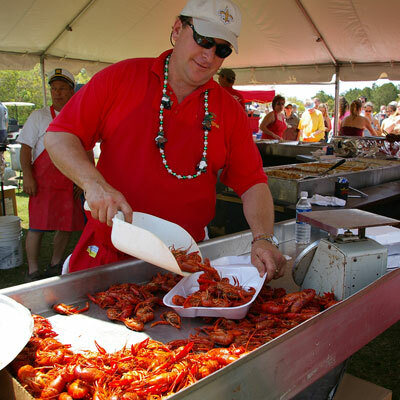 If you’re a connoisseur with a competitive streak, the 2:30 p.m. crawfish-eating contest is the perfect opportunity to show off your unique talent! *Gold Pass must be present for festival admission. Receipt of purchase will not be accepted. Gold Passes will not be sold on-site. *Gold Pass must be present for festival admission. Receipt of purchase will not be accepted, Gold Passes will not be sold on-site. Special thank you to our sponsors! For information on sponsorship opportunities at the Lowcountry Cajun Festival, please contact the Sponsorship Coordinator at 843-762-8042 or by email.